Large and growing numbers of poor rural households depend on climate-sensitive agriculture and operate on the margins of the mainstream economy. This combined with a broken public extension service and faltering international development efforts places millions of smallholder farmers at disproportionately high risk from a changing climate. Acknowledging the magnitude of the challenge and the required pace and scale of response, coupled with honest introspection on past performance, has prompted the need to look beyond the public sector for delivering climate-smart solutions. Harnessing the financial, technological and intellectual capital in the private sector to complement public sector-driven climate responses is a new dimension in delivery of sustainable climate-smart solutions at scale. Climate change presents farmers and businesses with risks (and opportunities) that affect their operations, their competitiveness and their profits. Many of the risks and opportunities are shared. Increasingly, proactive businesses acknowledge these as ‘shared imperatives’ which they can tackle only jointly with those who also face them. They are investing in innovative, mutually beneficial and commercially sustainable solutions for addressing shared climate risks in ways that unlock value for all involved, while building the resilience of key players (such as farmers) in their supply chains. This approach is built on the self-interest of businesses and farmers, and is proving to be a game changer in scaling up and sustaining responses. 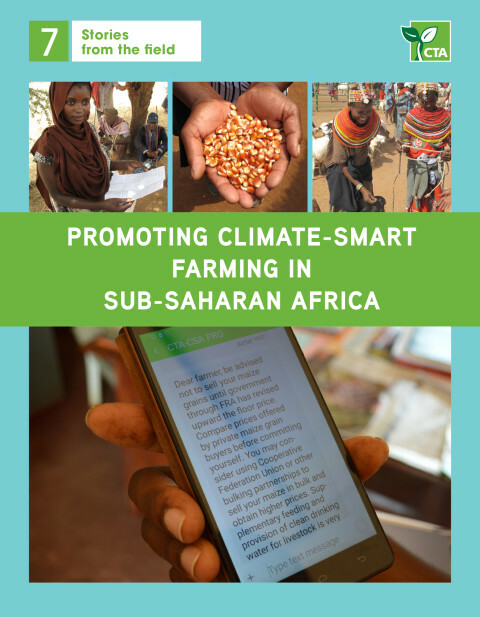 This report presents compelling evidence of win-win outcomes from private-sector investments that unlock access to technology (e.g., drought-tolerant seed varieties and livestock breeds), finance, markets, information, insurance and other risk-management tools which build the resilience of smallholder farming systems. By helping smallholder farmers increase productivity, stabilise yields, improve quality of products, reduce production costs and transfer risk (through insurance), such investments are concurrently helping businesses stabilise supply (or demand in the case of input suppliers), increase trade volumes and capacity utilisation, access better quality products, lower transaction costs and minimise contractual defaults while building trust and a better understanding of the smallholder context. Benefits go beyond farmers and businesses. Governments and aid agencies are benefiting from the reduced need for safety nets and disaster recovery costs. New commercial opportunities have also emerged for service providers (including NGOs and research entities) involved in supporting implementation. Yet resilience-building partnerships between smallholders and the private sector cannot be sustained without significant productivity improvements. Ensuring that smallholder farmers reach the required productivity and quality thresholds to unlock the value that sustains mutual interest in these partnerships is central to success. While low productivity among smallholders presents a major challenge for private-sector engagement, it also offers huge opportunities to unlock untapped potential at relatively low cost. While there are commercial options for supplying farmers with productivity and resilience-enhancing inputs, such as adaptable crop varieties and livestock breeds, providing the required extension support presents particular challenges. Although the payoff has been shown to be significant, the upfront costs of providing extension support and farmer organisation are very high, and usually only large corporations with large market share can afford to finance such investments. Innovative, performance-based funding models for providing farmer support are the key to unlocking shared value between smallholders and the private sector. This is a critical area of investment by national governments and international development partners, although caution is needed to avoid undercutting commercial service providers that are better placed to support the industry sustainably. Rather than addressing risks individually, more holistic ‘ecosystem’ approaches that address a number of risk factors (not only climate risk) concurrently, often in the form of multi-stakeholder partnerships of public, private, NGO and donor partners, have a better chance of success as they maximise complementarities. 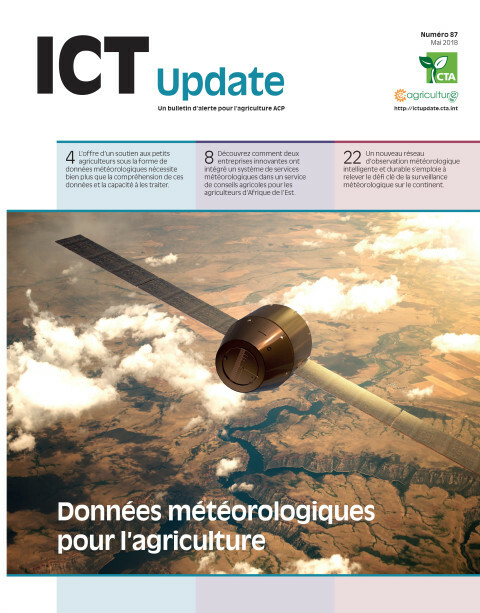 This approach has been particularly important for weather-based index insurance, which typically has to be bundled with other interventions, such as improved access to productivity-enhancing inputs, so that farmers are more able to afford premiums. In turn, index insurance unlocks access to credit and more favourable interest rates as it lowers the farmer’s risk profile by giving them the means to meet contractual obligations in the event of a climate shock. 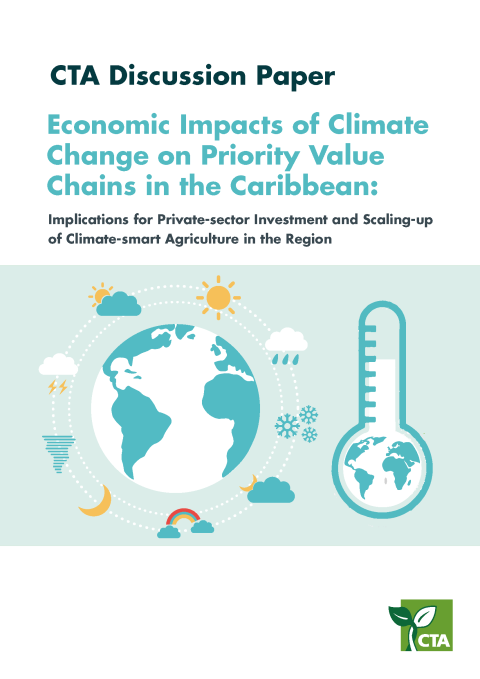 Engagement of the private sector in climate-smart solutions is still in its formative stages. There is huge scope to shape how this will evolve over the next few years. Innovative deployment of policy levers, incentives, and regulatory and funding mechanisms at national and international levels will have a significant impact on whether these approaches will become the preferred way of doing business. 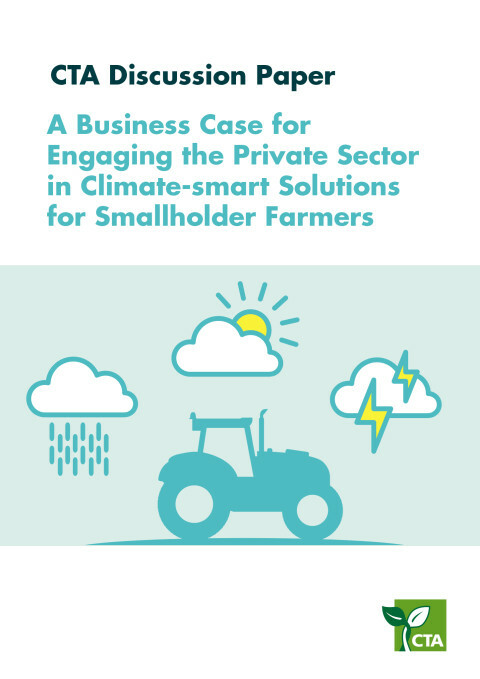 private sector, including supporting smaller agribusinesses to originate, screen and structure funding for climate-smart investments that create shared value for businesses and important value-chain actors, such as farmers. Governments in developing countries and other development agencies are likely to receive significant funding from international funding mechanisms for tackling climate change, such as the Green Climate Fund. Investing such resources to promote engagement of the private sector in delivering sustainable climate-smart solutions needs to be an area of focus. Providing affordable, tailored and long-term finance through a blend of commercial and quasi-commercial instruments could be the single most powerful instrument for shaping such investments at scale. A culture of responsible business needs to be nurtured by institutionalising the promotion, rewarding and recognition of progressive business models in ways that transform the private-sector landscape in favour of those that proactively invest in unlocking shared value.